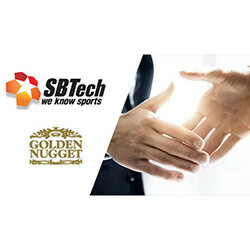 SBTech has recently announced that it will be the omni-channel provider for Golden Nugget, and will be handling all of Golden Nugget’s online casino platforms for the foreseeable future. The newly-formed partnership will have SBTech integrate its modern sportsbook platform with that of Golden Nugget’s iGaming casinos, which provide services to the states of Bilxoi, Mississippi, and Atlantic City. CEO of SBTech, Richard Carter, told reporters that he was very pleased to confirm their latest partnership with a US operator. He explained that Golden Nugget shares their views of the power of innovation in the industry, using it to achieve success with online sports betting. He added that as the market matures in the US, they will see further collaboration in the future. 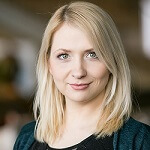 Part of the agreement sees a bespoke front end designed for Golden Nugget Casinos, with a trading strategy and non-pooled risk management solution being developed in the meantime. Senior Vice President and General Manager of Online Gaming at Golden Nugget, Thomas Winter, told reporters that sports betting is an important aspect of their business model, and that SBTech had to undergo a rigorous review process before the deal could be agreed upon. He added that the company knew that SBTech would be the right partners for them due to their retail and online technology, as well as their diverse regulations and innovative product-driven approach, and how they maintained their significance in the over-saturated market over the last few years.